Officially licensed Game of Thrones Merchandise. Exquisite embossed journal. 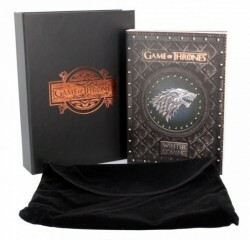 Arrives in a fabric sleeve protected by a black and copper decorative presentation box, adding to its sophisticated look.